The Mahoning Shadow Trail follows the path of the Mahoning Creek in the Pennsylvania counties of Jefferson and Indiana. 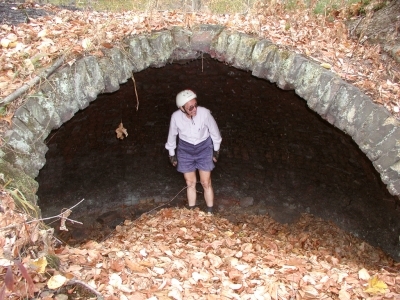 The trail provides an alternate route that connects several small communities located on either side of the Borough of Punxsutawney. Its many entrances give users easy access to the trail. People of all ages and all levels of fitness enjoy hiking, walking, and naming on the trail in more temperate weather and snow-shoeing and cross-country-skiing when wintry conditions prevail. Because of its proximity to several elementary schools, teachers have been able to use the Mahoning Shadow Trail for lessons ranging from geometry to physical fitness. 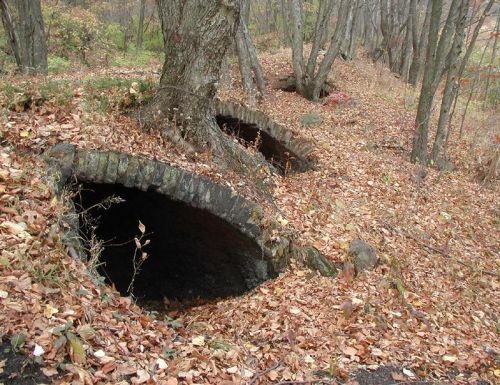 The trail provides an excellent view of the historic coke ovens that remind Trail users of the area's coal-mining and railroad heritage. The wildlife found on the trail include deer, rabbits, squirrels, and relatives of Punxsutawney's most famous citizen, the weather-forecasting groundhog Phil. The flora features numerous species of trees and abundant wild flowers, including the rare pink lady-slipper. On cliffs and hillsides that overlook the trail can be found waterfalls and intriguing rock formations. The beauty and tranquility of the Mahoning Shadow Trail guarantee that its visitors will return again and again. Inside a Coke Oven. Photo by Mary Shaw.